Manesar is a fast developing city located in the vicinity to Delhi and Gurgaon. It is an excellent example of an upcoming Indian city and best exhibits all the growth that the country has been making. It is a part of Gurgaon district of Haryana just often referred as the “New Gurgoan” because of the quick developments and industrialization. The place is mostly noted for being home to one of the automobile plants of Maruti Udyog, the company that makes Maruti Suzuki vehicles in India. Besides, there are several plants, offices, and headquarters of other Fortune companies well established and efficiently functioning here. The significant ones include: Alcatel-Lucent India Ltd, Samsung Telecommunications, Baxter India, Mitsubishi Electrical, NTF India Pvt. Ltd., HCL, etc. Additionally, the place is also significant strategically as there are some institutes of national importance located here. These include: National Bomb Data Centre, NSG, and National Brain Research Centre. The city is located about 15 minutes from Gurgaon and about an hour from Delhi. It is situated on the Delhi-Jaipur National Highway and shares excellent connectivity to central and western India. Meanwhile, although the place is on a speedy transformation into an urban city of 21st century, the place is still very much unspoiled and undisturbed. It still retains the original rustic charm of the bygone era, which is a major attraction puller amongst the backpackers living in Delhi and nearby cities. For them the place serves as an excellent weekend escapade where they can spend wonderful vacation relishing the exquisite hospitality of best Manesar hotels. There exists a large number of hotels and other lodging options. A majority of the hotels are situated at the main commerce centre. Besides, some good hotels are also present near the bus junction. The rich cultural heritage of the place is widely known in the region. The place finds fame for the ingenious dance, songs, ballads, dramas etc. Tourist relish the popular art form Saangs in their leisure time. Dance forms like Jhumar, Chhatti, Gugga, Teej dance, and Loor are quite popular. Apart from that, the rich cultural heritage of the place also reflects in the handicrafts, particularly in the wooden handicrafts and the ornate gift boxes. These are popular buys amongst tourists to be bought as souvenirs. Besides, the villages are also often flocked by tourists who like to spend their vacation exploring and understanding lifestyle and culture of the place. 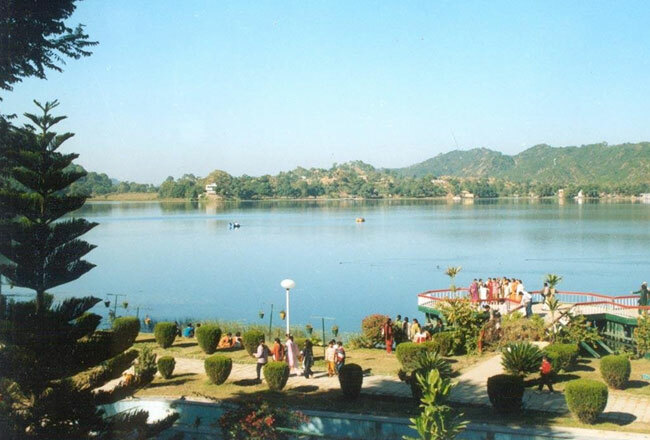 The most significant tourist attractions of the place that generally remain flocked with tourists include: Heritage Village Resort and Spa, Heritage Transport Museum, Fun N Food, Aapno Ghar, Kingdom of Dreams, Buddies Bunjee, Shitla Devi Mandir, Neemrana Fort, Leisure Valley Park, 32nd Milestone, and Damdama Lake. Your trip of the fast developing city certainly will be a memorable experience. Whether you are a part of a group or are travelling solo, the place is ideal for all. The rustic villages, modern attractions, and welcoming attitude of the locals are some of the aspects to look out for. For lodgings, the hotels in Manesar with swimming pool are quite popular. Plus, there are other good options to be picked according to your budget and stay needs. Dimpy Roy is a travel writer working with an Online Travel Guide. She guides travelers to various resources where they can find best hotels in Manesar and choose the best one.